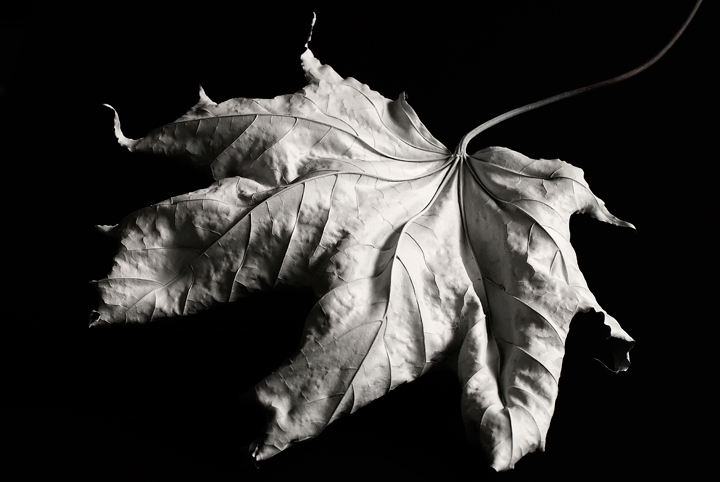 I painted the leaf with white spray paint, natural indirect window light. Very clever, Frank! Worked very well. Great detail! Highlights are a bit blown out. If I rotate this image 90 degrees to the right, it works even better. Either way, it's a good one. Wow, I love this crisp leaf and the clear veins. Nice job. The curve of the stem adds a lot as well. Great play with light. Textures are shown nicely. B&W also works here. Great lighting and strong contrast. It's got a lot of detail, but only to a certain point. I'd like to know how you shot and post processed this one. Proudly hosted by Sargasso Networks. Current Server Time: 04/20/2019 02:20:01 PM EDT.